As a former landman and natural gas commercial negotiator for a major oil company, I have a unique insider understanding of the industry. I speak my clients’ language and know first-hand the business challenges they face every day, which makes me an incredibly effective dealmaker and problem-solver. 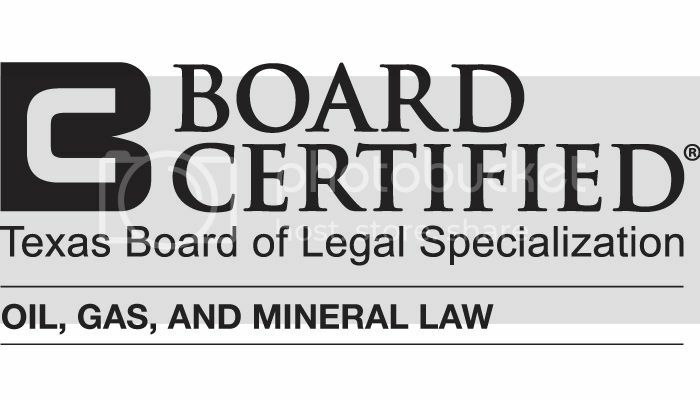 Paul Yale is Board Certified in Oil, Gas & Mineral Law by the Texas Board of Legal Specialization. 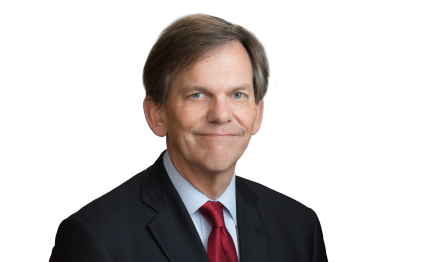 He has decades of experience in both the domestic and international oil and gas industry, including 27 years working in various capacities with ExxonMobil Corporation and its predecessors. Before retiring from ExxonMobil in 2007, Paul served as Manager of Land for the company’s U.S. Production Organization responsible for overseeing all land activities in the U.S. lower 48. Upon retiring from ExxonMobil, Paul immediately re-entered private law practice focusing exclusively on oil and gas title, transactional and dispute resolution matters. He is a licensed attorney in eight states and has worked in virtually every major U.S. oil and gas basin, both onshore and offshore. During the course of Paul’s career he has negotiated and documented countless numbers of upstream oil and gas transactions, including purchase and sale agreements, oil and gas leases, joint operating agreements, exploration agreements, unit agreements, gas sales contracts, master services agreements, drilling contracts, and many more. He regularly prepares oil and gas drilling, division order and acquisition title opinions in Texas, New Mexico, North Dakota, Oklahoma and in other states in which he is licensed. A certified arbitrator and mediator, Paul is experienced in guiding parties to amicable dispute resolutions in cases involving upstream oil and gas contracts and complex title issues. He is frequently called on to provide expert witness testimony in litigation involving many types of complex oil and gas issues. Paul is a regular author and speaker on a variety of oil and gas legal topics including title opinions, operating agreements, and hydraulic fracturing. He is a co-author of LexisNexis’s Hydraulic Fracturing Law and Practice (2017 edition). Represents independent oil and gas producers in acquisition, divestiture, and joint venture negotiations. Supports independent oil and gas producers in drilling programs in Texas, New Mexico, Colorado, Oklahoma, North Dakota, and other states through rendering title opinions and giving associated legal advice on operational and regulatory matters. Conducts title due diligence for oil and gas lenders including both banks and private equity investors. Represents an ivy league university in oil and gas negotiations involving Texas and Oklahoma mineral interests. Represents both oil and gas producers and private landowners in oil and gas lease negotiations. Served as an expert witness in approximately a dozen oil and gas cases since entering private law practice in 2007. Served as a company representative for a major oil company in dozens of take or pay and other oil and gas disputes 1980-2007. Mediates and arbitrates cases involving joint operating agreements, purchase and sale agreements, and other types of contracts. Served on American Association of Professional Landmen drafting committees including the committee that drafted the 1989 Joint Operating Agreement and a committee currently drafting a model form exploration agreement. Served as an international agreements coordinator for a major oil company. Worked on the committee that drafted the Association of International Petroleum Negotiators model form operating agreement. Reading - my most recent favorite books include Just Mercy (Brian Stevenson), The New Jim Crow (Michelle Alexander), A Season For Justice (Morris Dees), Shell Game: One Family’s Long Battle Against Big Oil (J. Michael Veron), In the Midst of the City: The Gospel and God’s Politics (Barkley S. Thompson) and Flags in the Dust (William Faulkner). Listening to music, especially classical and bluegrass. Being walked, almost every morning at dawn, by our two dogs.